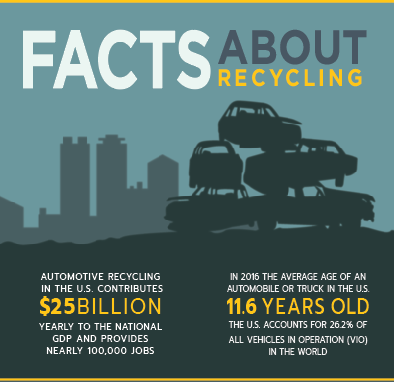 Advanced Remarketing Services developed an infographic that covers the vehicles in operation (VIO) on U.S. roadways. This is important for us to track because the balance between new cars entering the streets is not proportionate to the amount of vehicles reaching the end of their life and being recycled off the road. In a recent post from our ongoing blog series Wreckonomics, we cover how the aging of VIO means that fleet operations, finance operations, insurance companies and dealers are seeing higher frequency of high mileage, older units. These aged units have more limited opportunities at retail and present unique challenges at wholesale but properly managed can propel stagnant returns or recoveries.